The sun setting behind the ruins of St Andrews Cathedral. Building of the Catherdal started in 1160AD. The work took nearly 150 years to complete. It was ruined after the reformation in 1559. 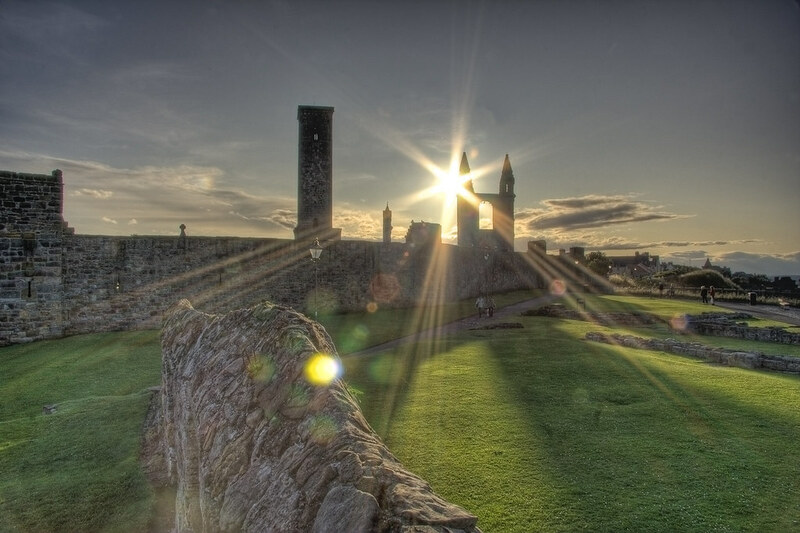 This entry was posted in Ruins, Scotland, St Andrews and tagged cathedral, fife, hdr, Medieval, Ruins, Scotland, scottish, St Andrews, sunset, tower. Bookmark the permalink.